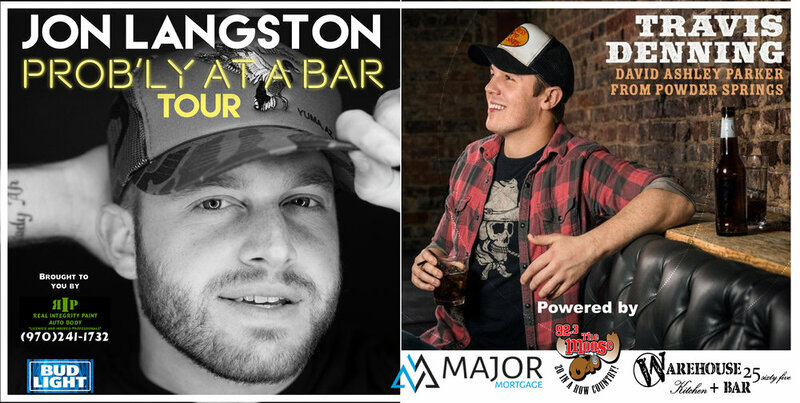 Jon Langston & Travis Denning Set for a killer CO HEADLINE SHOW only at the Warehouse! Western CO let’s throw these boys a good ol fashion party! Langston, now a Music City resident in Nashville, TN, has created his own style and sound from a variety of influences. Growing up listening to everything from Alan Jackson to the Eagles, Langston has crafted a fresh, new country music sound that is ready for take off. Langston, now 24 years old, has a publishing deal with Sony ATV, and is managed by KP Entertainment.